Before Hillary, there was Rosalynn. Rosalynn Carter—the most politically active first lady since Eleanor Roosevelt—was sometimes called the second most powerful person in the United States. Even when her husband Jimmy Carter's approval ratings sank to record lows, she still tied with Mother Teresa as the most admired woman in the world. In this first biography of Rosalynn Carter since 1980 and first book-length account since her own 1984 memoir, Scott Kaufman depicts a hard-working first lady whose energetic style sparked an administration that seemed to have lost its way—and who accomplished far more than she received credit for. He particularly examines how this activist first lady became a lightning rod for controversy when she took on roles that some considered inappropriate. Not only her husband's sounding board and adviser, Mrs. Carter at times seemed to serve as a virtual copresident, sitting in on cabinet meetings, testifying before Congress, and traveling abroad as the president's personal representative to discuss substantive issues with foreign officials. Kaufman challenges outdated stereotypes about the first lady dubbed a "Steel Magnolia," showing readers a talented, purposeful woman who pursued an ambitious agenda as the president's equal partner. Meticulously researched and balanced, his account provides the fullest account to date of her efforts on behalf of the mentally ill and of her diplomatic trips to Latin America and Asia. It also addresses the irony that, despite the strides she made in advancing her office beyond that of mere hostess, Rosalynn Carter had a difficult relationship with feminists who believed that she failed to take their interests to heart. 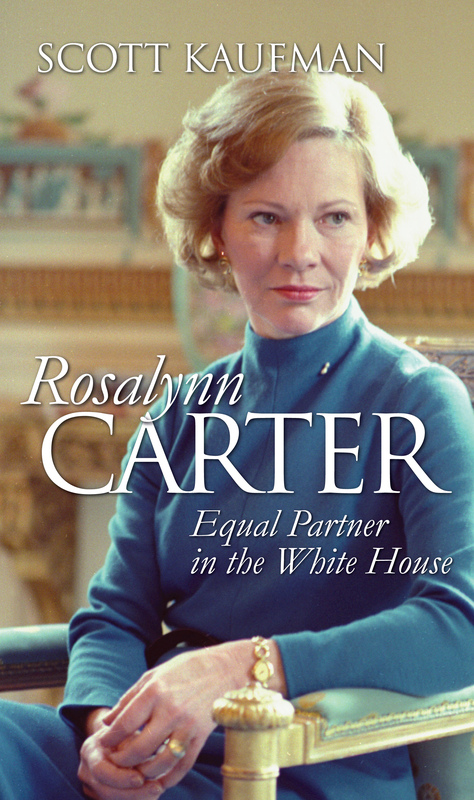 Drawing upon recently released documents from the Carter Library, as well as on interviews with President and Mrs. Carter and the latter's White House aides, Kaufman's insightful narrative illuminates both the Carter years and the changing roles of women in the late twentieth century, while objectively critiquing Rosalynn Carter's part in a presidency that fell short of its promise. It portrays a dynamic and influential individual who undeniably helped mold the institution of first lady into its modern form. Scott Kaufman, associate professor of history at Francis Marion University, is coauthor of The Presidency of James Earl Carter, Jr., and author of Confronting Communism: U.S. and British Policies toward China and The Pig War: The United States, Britain, and the Balance of Power in the Pacific Northwest, 1846–72.